Welcome to the official website of Birds Of Peace White Dove Releases. Birds Of Peace is currently providing white dove releases in southern and central New Hampshire, northern Massachusetts, and southern Maine. 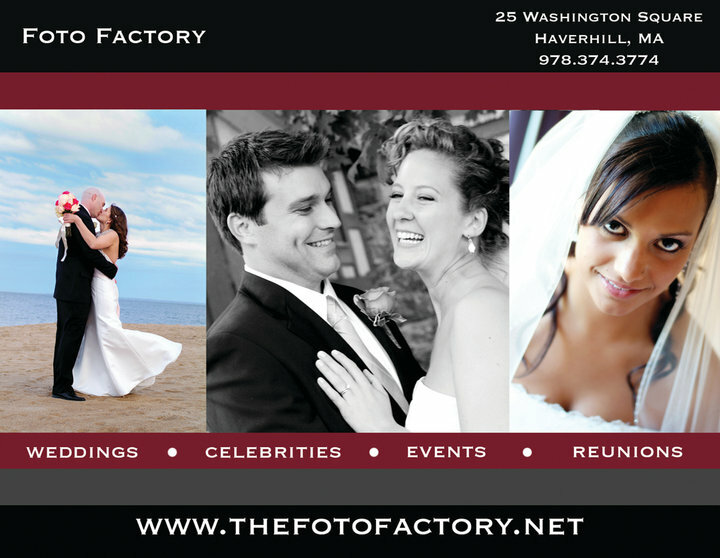 Weddings, Funerals, Memorials, Anniversaries, Birthdays, Fund Raisers, Grand Openings, Sporting Events, Etc. If you would like to learn more about the services we offer, please continue reading on this page, and click on the "Services" page for package descriptions, pricing and Terms and Conditions. "The White Dove Release was a very important and symbolic moment of the memorial service for my sister. We received many comments from those attending regarding how special it was and how it would be remembered. David and Birds Of Peace were very flexible regarding the timing and nature of the memorial, arriving early and assisting family members with the release. A key part of a celebration of a life." "Thanks for bringing the Doves to my Dad's remembrance. Letting them go gave me some closure to it all. I felt like I was letting my Dad's soul go and he was at peace and I finally could say goodbye. I loved the Doves; they were gorgeous. Take care and I wish nothing but the best for you and your family." "...... the doves were wonderful and we had lots of comments about how touching it was. We will definitely be interested in doing it again next year." "Wow, thanks so much for the fabulous dove ceremony and for your professionalism with this event! It was a lovely touch to Kiele and Jason's wedding. It will be a pleasure to work together again!" Both bride and groom are provided with pure white heart shaped baskets from which to release their individual dove. 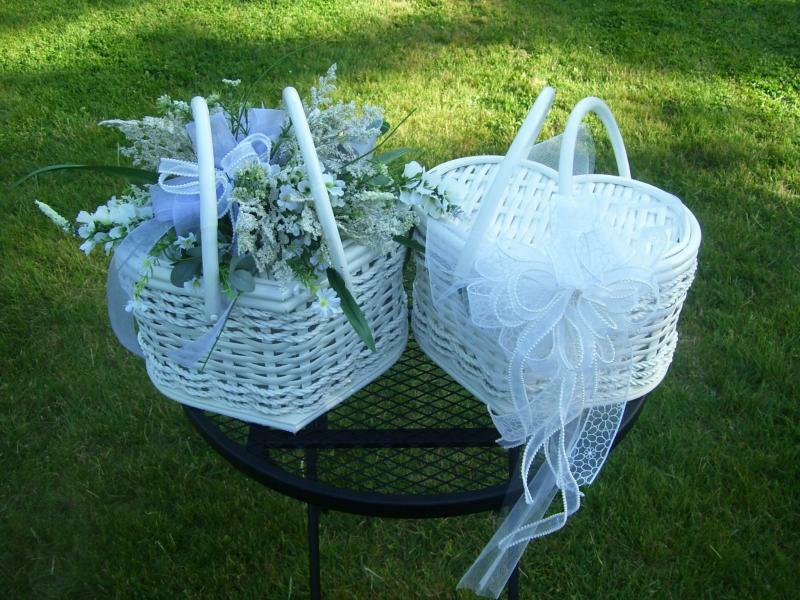 If desired, the baskets can be adorned with flowers / ribbons / decorations consistent with the wedding theme. After a ceremony specific reading or poem is recited by the bride, groom or a person close to the marrying couple, the two birds are released simultaneously, and fly off together signifying the couple’s start of a new life together. A photo of the pure white heart shaped baskets utilized for the above described release is shown above. 1 This text is taken from Calgary Ceremonial White Doves. 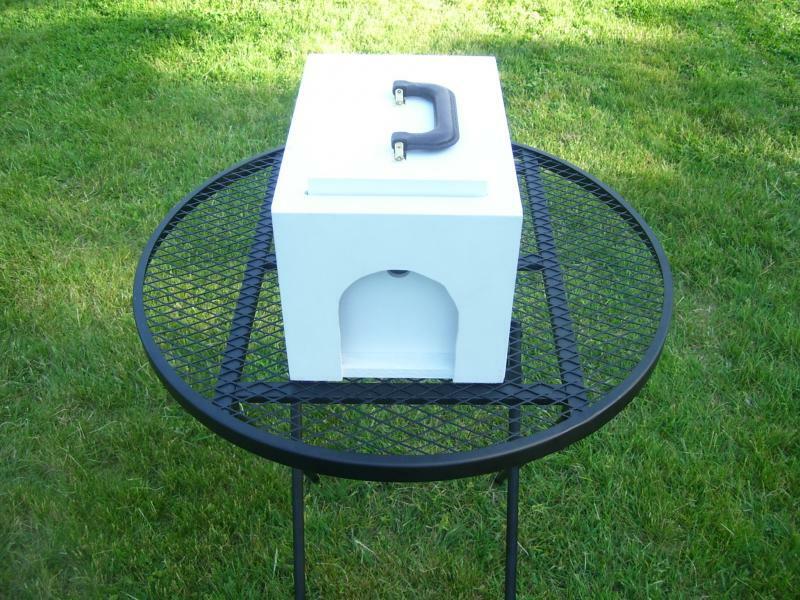 The release box featured here was purchased from Calgary Ceremonial White Doves. Birds Of Peace encourages you to visit the sites featured below for more great services offered locally in southern New Hampshire, and to review the white dove release association sites that we are affiliated with. For multi-bird release requests, a pure white custom crafted release basket is utilized. 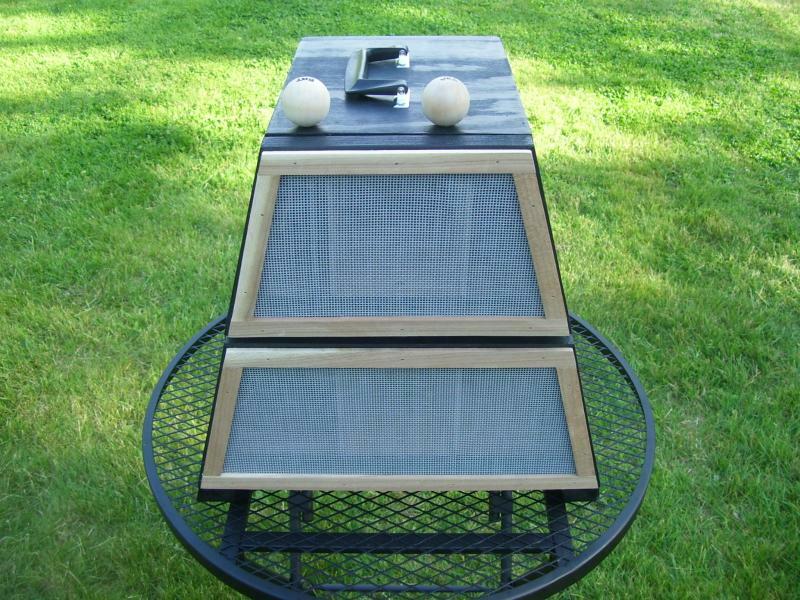 The basket measures 16.5”x24.5’x11”H and has a built-in side release window with quick-turn fasteners. 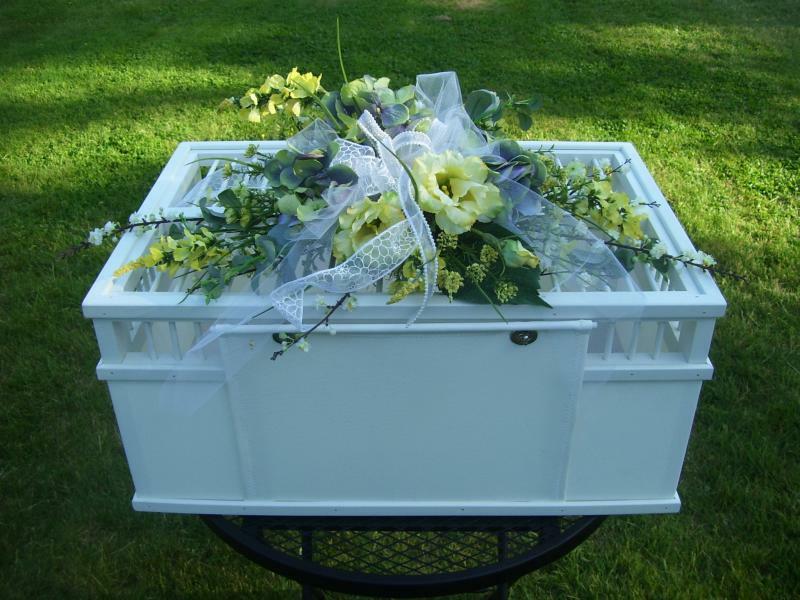 If desired, the basket can be adorned with flowers / ribbons / decorations consistent with the wedding theme. After a ceremony specific reading or poem is recited by the bride, groom or a person close to the marrying couple, Birds Of Peace staff will open the basket to release multiple doves at once. A photo of the pure white wedding release basket utilized for the described release is shown above. 2 This text is taken from Foy’s Pigeon Supplies 2008/2009 Catalog, page 78. The release box featured here was purchased from Foy’s. WHITE DOVE SOCIETY INTERNATIONAL, promoting white dove professionals through education and a public directory. Find a White Dove Professional. National Listing of Companies and Individuals that offer Dove Release and Butterfly Release For Weddings, Occasions or Events. Copyright 2009 Birds Of Peace. All rights reserved.